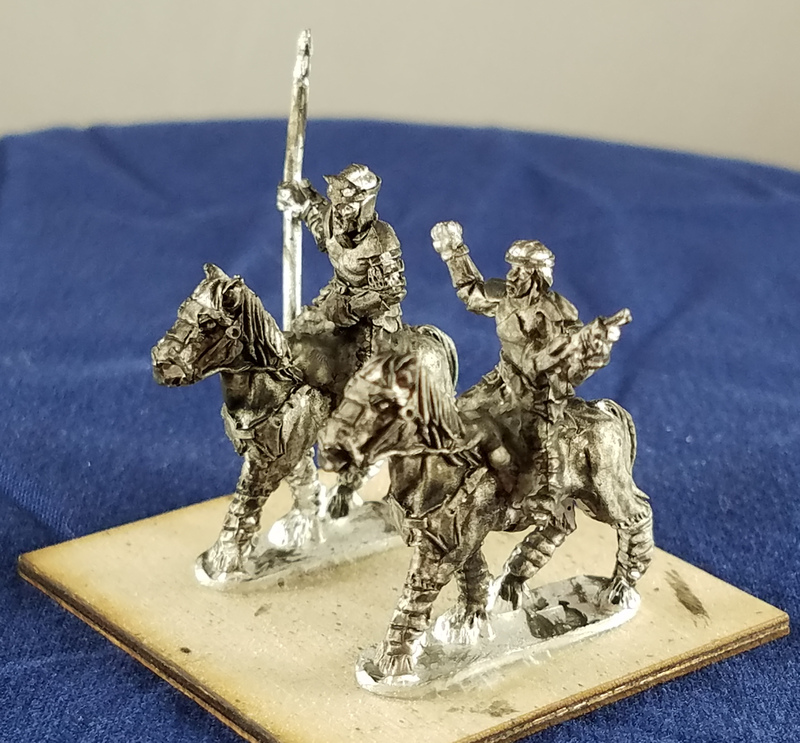 1879: Minis for Kickstarter – FASA Games, Inc.
As you (ought to) know, we’re currently running a Kickstarter for the 1879 Miniatures Wargame product line. 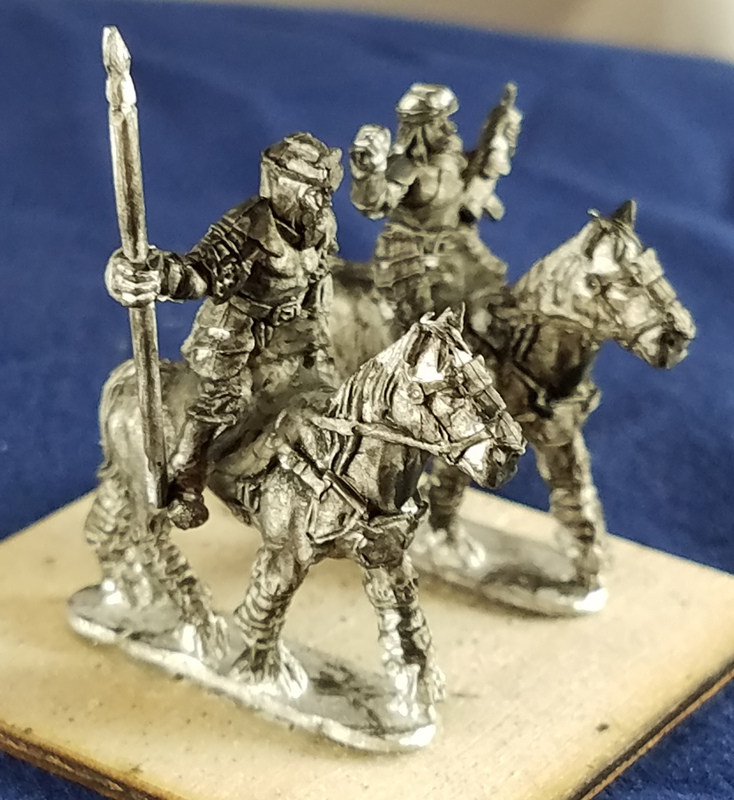 We’ve got the British Army and Samsut Army books on offer, as well as new minis by Ral Partha Europe to go along with, already in metal. Let’s have a look at some of these spiffing new minis shall we? First up, fully painted British soldiers in pith helmets and miasma masks, with Martini-Henry rifles and bayonets. Next, the same unit in subdued uniform, suitable for night fighting. And the subdued coloration in a unit with forage caps and no masks. They’ll be hard pressed if they run up against Samsut zombies, with nothing to protect them from the stench and the disease-carrying vapours the undead exude. Speaking of undead, here’s a platoon of animated Skeletons, nasty buggers, have to hit them in the battery pack to take them down. They’re not well coordinated, though, sort of fire and forget munitions, and easy enough to kite off with cavalry. Oh dear, cavalry. Seems the Samsut have that as well as the British. These are live troops, of the Mushkenite or mid-level caste (the Ardites, or low caste, aren’t entrusted with valuable animals). The fellow in the foreground has a lance, which is problematic in a charge, but the fellow in the back has a railgun, which makes him dangerous at range. Let’s have a better look at that railgunner shall we? 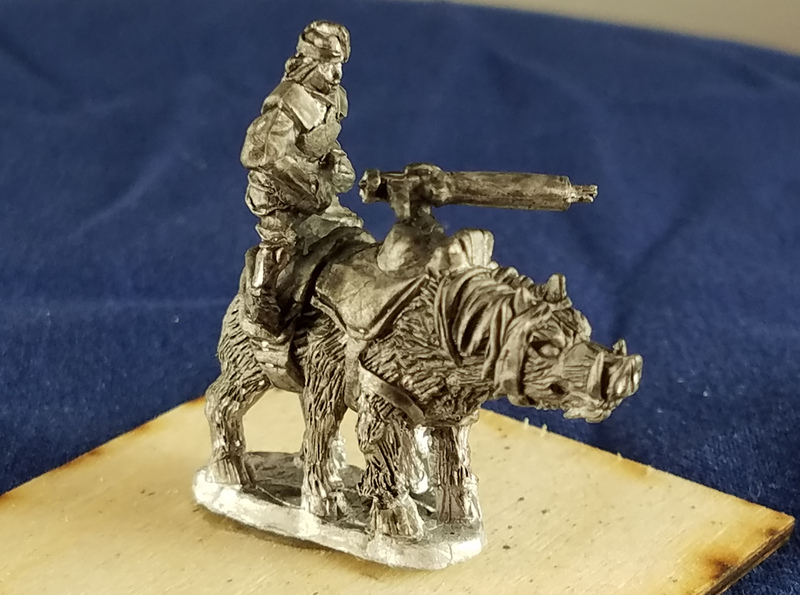 As if that’s not enough, generations ago the Samsut crossed their hoses with the ravager pig, and created the sisnapishtu, a six legged mount with two potential saddle points. In this version, the forward point has been given over to a pintle mount for a heavy railgun, a sort of Weird Science Vickers. Think of this fellow as a WWII jeep with a machine gun. Want to see more? Visit the Kickstarter or our online shop!